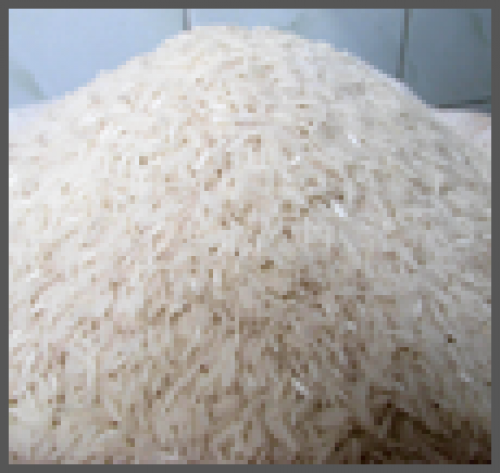 At Windmill Rice, we are constantly evaluating our business processes to ensure that we are always compliant with all the rigorous industry standards. We incorporate various strategies to partner compliance with better practices and standards to improve efficiency, raise quality and reduce risk. 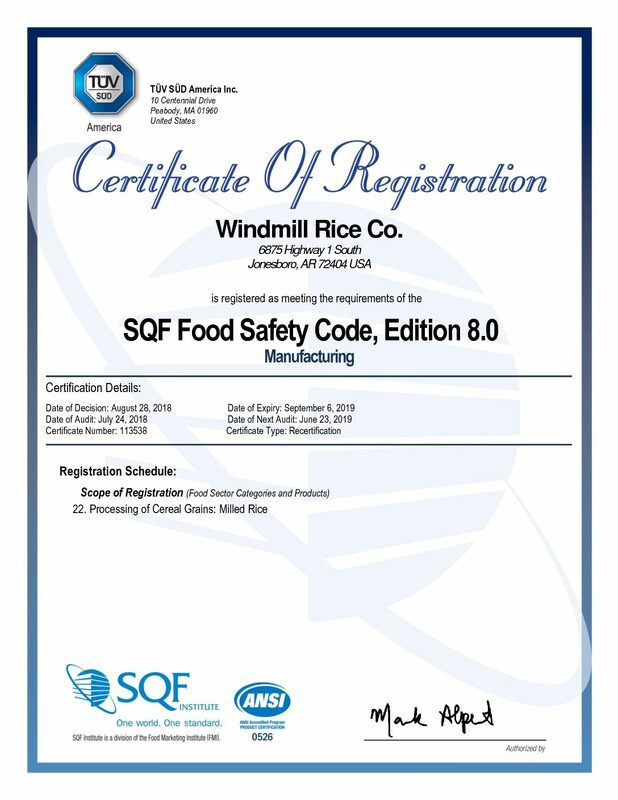 Below, find some of the many certifications currently held up the solid team of professionals at Windmill Rice. 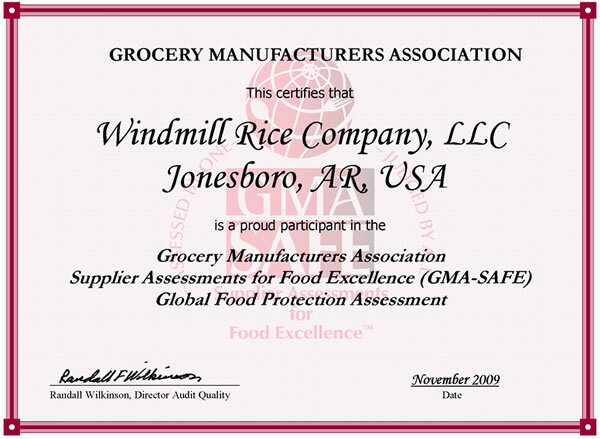 Created in 2001, the GMA-SAFE Program is comprised of the nation’s leading food industry quality assurance professionals and members of the Grocery Manufacturers Association (GMA). Click here to download this certificate. 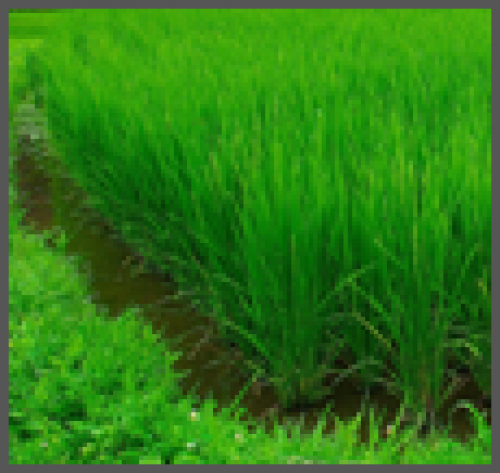 Its main objectives are:1. to significantly raise industry standards with regard to food safety, quality and defense2. to reduce the number of audits each food industry facility experiences annually.The suite of GMA-SAFE Assessments offers one of the most comprehensive food protection evaluation available in the marketplace today. 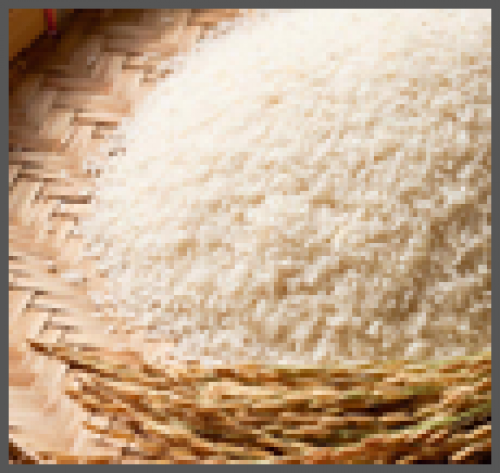 The suite consists of six industry-specific Assessments (Food Protection, Primary Packaging, Aseptic, Warehouse/ Distribution, Spice and Dairy); plus a shorter, but still thorough, SAFE Express Assessment.